Hurray! Today is Friday and I completed by day job! Lol! Mama dukes is setting the stage to get my weekend “chores” done tonight. Laundry is sorted and the house…. Umm… Nope! I’m not cleaning. Today is Day# 19 of my 100 Happy Days Challenge and it is a tasty one! I’ve talked about Z Crackers in earlier posts and I haven’t nibbled on this treat in a hot minute. 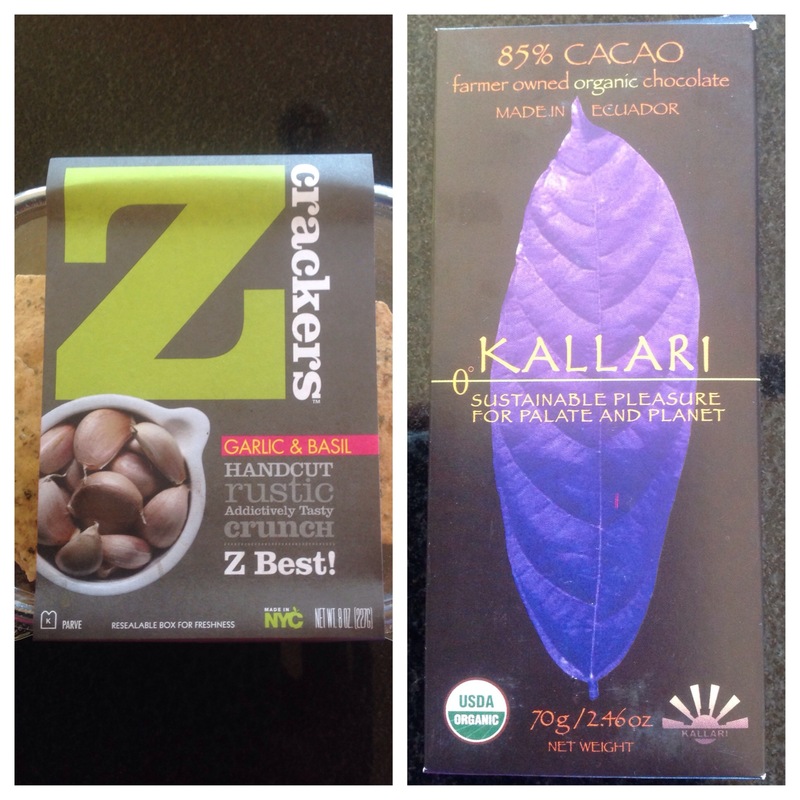 The market was out of my favorite dark chocolate, but I have had this brand before and it will work. I haven’t decided if I’m going to eat them together because I don’t usually combine the two. The chocolate is for a fine glass of Cabernet, which I haven’t had in months. Still amazed that I gave up my almost glass-a-day craze. Although I never thought I could give up my daily glass of wine, once I realized the sugar content, I weaned myself off. Heeey! The crackers are perfect when I feel the need to crunch on something. Either way, it’s about to go down!! I want to say more, but I have to get this laundry done so I will have a handle on my weekend, starting with the gym on Saturday and Sunday. This entry was posted in Uncategorized and tagged #100HappyDaysChallenge4lexa, 100happydayschallenge, cheats, Dark organic chocolate, Eat clean, Happy Day Challenge, laundy, z crackers, ZCrackers. Bookmark the permalink. As I reply to your comment, I am indulging in the crackers. Will save the chocolate for another day. Thanks!